I had the pleasure of interviewing Mr. Humphrey Ho. Humphrey serves as Managing Director of Hylink USA at Hylink Digital. 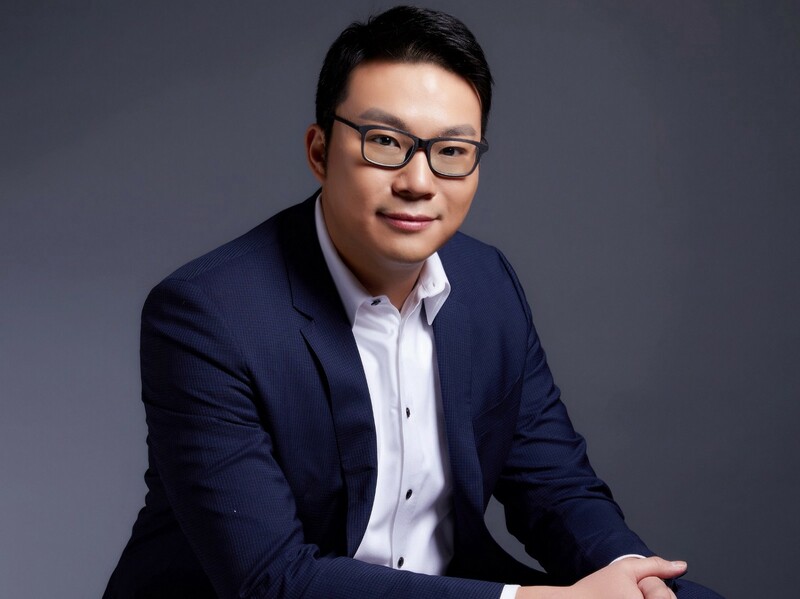 Mr. Ho is responsible for content licensing and acquisition, as well as all digital media acquisitions and partnerships. He has worked on a broad range of brands across the automotive, tech, fashion and travel industry. I’m not a foreigner, I’m not Chinese, and I’m not quite in-between. I like to say that I fell (or tumbled) into China. In 2010, a Chinese company decided to acquire the state-owned company I was working for. I definitely spoke English, and also thought I spoke what was fluent Mandarin. I wrote Chinese and read Chinese. However, I forgot about China’s business drinking culture and made my first mistake the night upon my arrival, which was clinking my glass too high and above that of my chairman. I, of course, was subsequently punished — with a night I vaguely remember. In China, I worked at the American advertising agency Wieden & Kennedy — a very American, very independent, very loud, but very creative organization. I was hired as their China business director, tasked with bringing in local Chinese clients. I’ve not only had the honor of working for Dan Wieden, but also Tim Delaney of the Leagas Delaney fame in the UK, another agency that’s still independent and majorly creative but aimed for a stronger Chinese interface. At Leagas Delaney I was lucky enough to work for a team that had been in China for much longer than I, thus were much more local. I became their non-Chinese business director, bringing in clients from the U.S., Britain, Australia, and New Zealand, to help them better navigate media and creative in the country. Then I worked for this small American company named Google, where I was the strategic partnerships leader for China. My job consisted of bartering my way into making sure publishers would give us data, access, and transparency. That stint brought me to where I am now at Hylink, China’s largest independent advertising agency, but in Santa Monica, CA. I’m helping Hylink expand its distinct Chinese footprint and expertise to help the world adjust to marketing in China while helping Chinese clients understand that drinking culture isn’t all that you need to sell a successful product in the U.S. and around the world. My first story as a foreigner who wasn’t quite a foreigner, and a Chinese person that wasn’t quite a Chinese person, was a mistake I’d made on day one. I clinked my glass too high. So a note to all foreigners doing business in China, there are two phrases to know: 1) We are not friends until we drink; 2) But when we do drink, please remember who the host is versus the guest, and who is highest or lowest in the line of seniority. If you are higher in seniority, you clink higher. If you’re lower in seniority, you clink lower. And yes, that jet-fuel smelling thing is Baijiu: Chinese sake. My recommendation, drink it. Foreigners in China doing business frequently find differences between both cultures and try to either exploit or manage around those differences. This is specifically why Europeans, particularly Germans, do so well in China in terms of expanding their industry and establishing a global footprint. They have the distinct ability to find similarities between both cultures. It does sometimes begin with drinking culture (unfortunately), but many times it’s within the interpretation of the rules of a contract. We are, in the U.S., in Canada, and in the Western World, very strict about what we can and cannot do, and about one’s liabilities, rules, and responsibilities. Chinese contracts are all about punishment, and if you do not “fulfill,” there are results and consequences listed clearly. Our rule of law is one in which consequences are apparent. Chinese rule of law is written where there is a punishment to the effect of ‘X’ if not accomplished. The Chinese love to talk about the “win-win.” For instance, profitability, or the bottom line, is viewed as a two-way street. Effectiveness is a two-way street. Chinese, equally like Americans, have a long-term view of how to do business in the world. Their execution and expected results might be slightly different. In China, long-term doesn’t mean that there’s not change, change happens all the time. In the U.S., Australia, or Canada, long-term vision might mean setting and forgetting and establishing a process for many years. But that’s not how a programmatic economy works with a developed economy. Therefore, frequent changes in a framework of mutual understanding is the reason why certain companies like GM, P&G, or like most automotive companies frankly, succeed in China. We have the honor and pleasure of working for Brand USA, the national destination marketing organization for the U.S. It is precisely our work that helps people understand that there are similarities between both cultures — and that’s why they should visit because, in essence, each really does aspire to the other. It’s our job to promote the diversity of the U.S. and the things that you can do here — from beaches to road trips to urban adventure and outdoor exploration — to a culture that sees us, talks about us, and, based on data, considers us (the U.S.) their #1 aspirational destination. So we have the pleasure and honor of highlighting all the things you can do in the U.S. programmatically, through nuanced creative and a localized approach to building the brand that is U.S. travel. Every business that genuinely cares about their people will succeed in any local culture. Cross-cultural integration will be the hardest thing any company does, whether it’s an American company going to Canada, a Chinese company going to Australia, or operating a JV inside China. Business owners should identify similarities between leadership, managers, and juniors, and promote activities that allow for discovery of each other’s similarities so the employees will thrive. It has been stated that employees in China turn-over significantly, but this has not been our experience at Hylink. Most of our Chinese senior staff has been with our founder and CEO for over half of their careers. I can say that at Hylink’s U.S. headquarters, most of our staff has been with us for over 18 months. With that said, one would argue that many Americans are more lifers and that those in Chinese companies are “jumpy.” We don’t find that to be true, as we spend a tremendous amount of time understanding our employees and what makes them integrate into our unique culture. We have a model called Corduroy, which attempts to integrate two very distinct cultures among the lines of seniority and rank. I work for the man that has helped me navigate most of my career in China by WeChatting people on his contact list to get me into places. I run my company, and work with my clients, from the man best known to “Just Do It.” I thank both of them often for the conversations that they’ve had with me, in helping me understand that you should always err on the side of humble. The trade war definitely dampens consumers, their interests, and their access to products on both sides. It’s unfortunate. Our role in the future, trade war or not, is to continue to promote mutual understanding of our clients, both Chinese and American, to understand their reciprocal markets. In terms of how to buy media, how to target the consumer, who are the consumers, who are the best-in-class partners, vendors, etc. to use to reach those consumers so as to encourage them to shop, buy, engage, like, comment. So, the trade war may change some of our client profiles, but it doesn’t change what Hylink is set up to do through promoting American and global clients understanding China and how to perform and compete in buying media to target consumers to buy there, or to come to the U.S. in the case of our travel/tourism initiatives and does not dampen Chinese clients who are coming abroad, such as gaming, mobile phones, or whoever is providing a service or a product to a user or consumer that has a need. It takes 20 years to build a reputation, and five minutes to ruin it. If you can think about that deeply, you’ll do things differently. I’m not really a movement person; I’m a “doing” person. Perhaps if someone had a movement that would bring a tremendous amount of good to the world to the most amount of people, I’d love to participate in its execution.